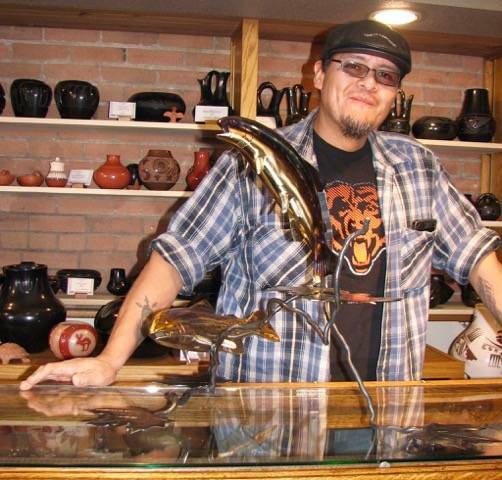 JOEY L. NAKAI is a member of the Navajo Nation and resides in Farmington, New Mexico. Mr. Nakai was trained as a welder and has mastered the medium of steel. He creates art from scrap metal, copper, stainless steel, brass and milled steel, and mixes various mediums in his pieces to enhance details. His method includes pounding, torch-cutting, welding, grinding, buffing and heat tinging. His attention to detail and results of his inspiration are depicted in the realistic and flowing grace and beauty of his work.